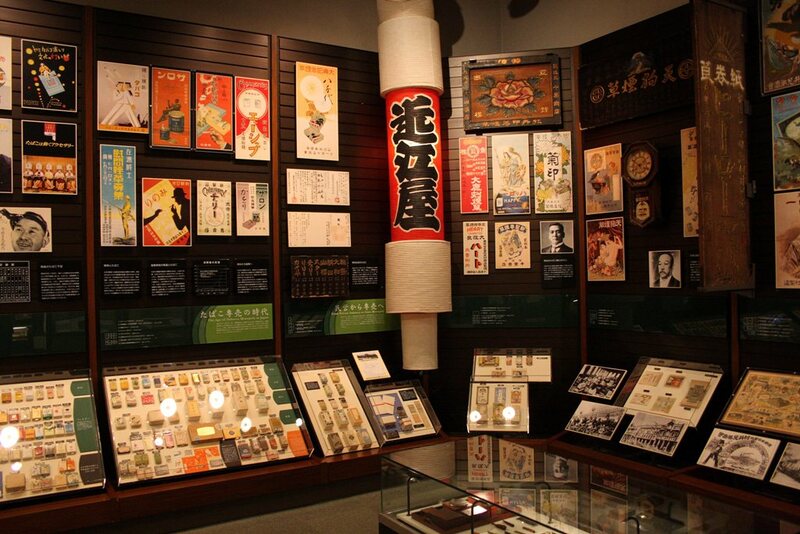 I was in Shibuya the other day, and happened to walk past the Tobacco and Salt Museum. I haven’t been there for years, and they were holding an interesting looking exhibition of paintings from the Edo Period, so I decided to check it out. The paintings were gorgeous, and although it’s maybe too small to make a special trip for, if you happen to be in Shibuya before November 30, it’s only 300 yen and quite enjoyable. 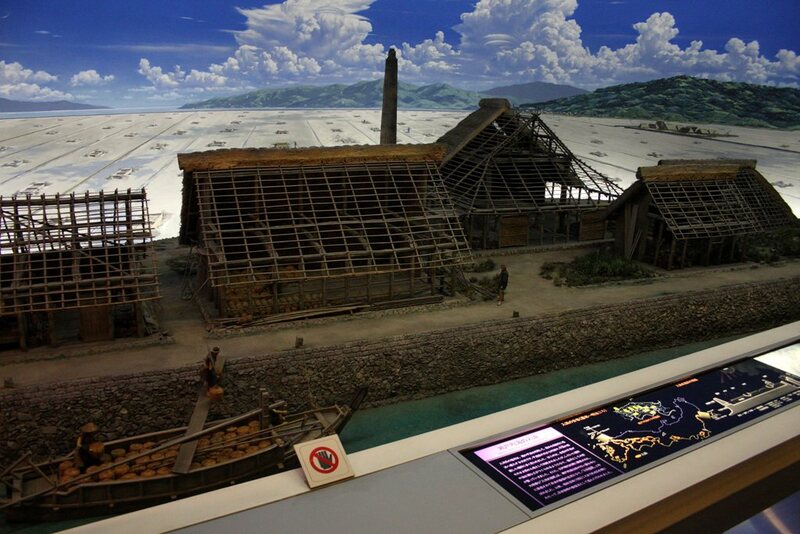 The tobacco and salt museum is about Japan’s two of Japan’s most important commodities. 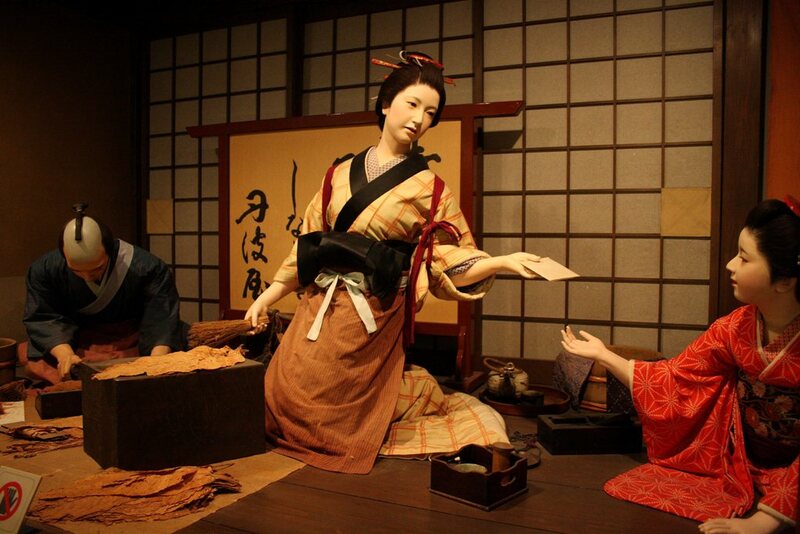 This diorama shows a tobacco shop from the Edo Period. Japan doesn’t have natural salt deposits, so they had to get all their salt from the sea. 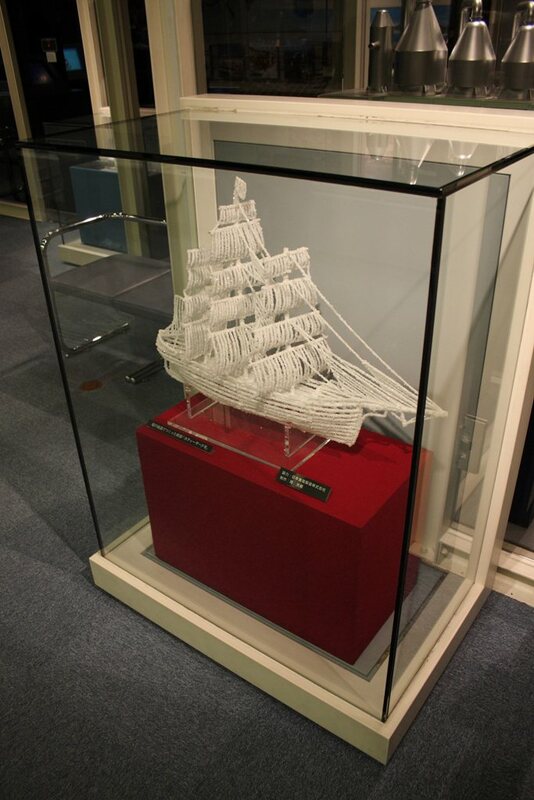 A model ship made of salt. Hello from New York. Very interesting. I have never heard of that. And we cross paths again Quirky Japan Blog! Over at http://www.chickenmonkeydog.com we were just talking about quirky salt-related items. Specifically, do you think it matters what body of water the salt comes from? Would that change the taste?